To understand how each size sub works for your music, it's important to understand the basic characteristics of each size. The general rule of thumb is that the larger the surface area of the subwoofer cone the more air it displaces and therefore the louder it is. All of these sizes can sound great in the right box. 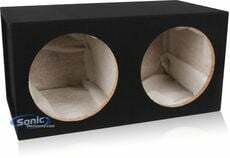 The enclosure that you end up choosing impacts the performance of your bass in a huge way so designing the optimal enclosure for your subwoofer and you're listening preferences is a very important step. Having a limited amount of space in your vehicle doesn't necessarily have to be a bad thing. An 8" or 10 subwoofer can work wonders in a small enclosure. If you have more space to work with go for a 12" or 15" if you really want to pack on the bass. Due to the large box and high wattage requirements of 15" and 18", multiple smaller subwoofers are the most efficient way to maximize your bass in terms of the space and power. Remember these are just generalizations based on average subwoofer sizes. 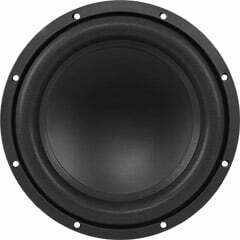 A well-designed a 10" speaker can be capable of playing very low notes and cheap 15" woofer can have relatively low output. However, these are very useful guidelines when comparing different sized subwoofers in the same series.